When I lived further north, I created a fire pit. I really liked it in the cold months (or rather, month). It had a copper bowl at the center, and lots of granite gravel with steel edging to hold it together. But I found it a pain to weed in the warmer months, and it was in a key sunny spot. Eventually I ripped it out and replaced it with raised vegetable beds because I valued growing food over the less tangible benefits of a fire pit. 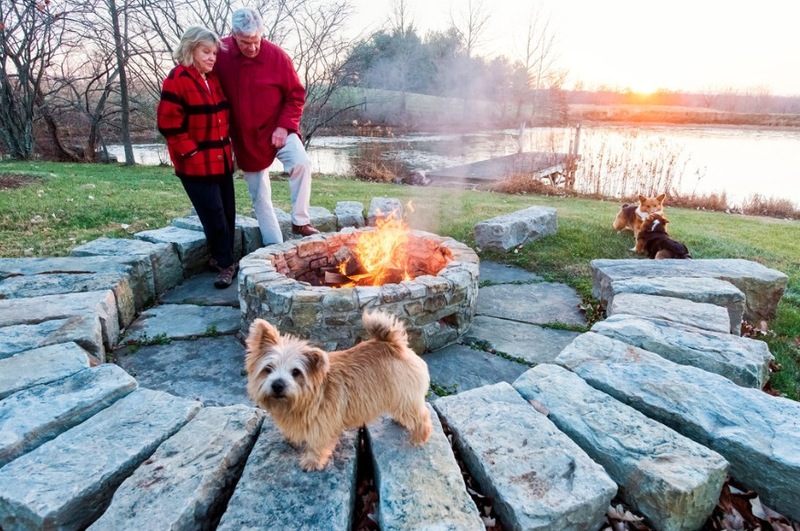 We’ve had an earlier than normal winter here in Austin this year, and I am finding myself missing a fire pit again. Today I began work on a new one. I am determined to make this with at least 90% reclaimed materials. As such, all the bricks are Freecycle acquisitions. The cast concrete tree ring pieces also came from a Freecycle source. Even the broken mortar in the center came from stuff I broke away from a load of stone I got there. And, beyond providing a place to set up a fire, it has a secondary purpose. Can you guess what it is? Hopefully, it will soon have a retaining ring around it. I’ve begun work on that, but I’m going to have to drink a lot more beer before that’s finished. Though, that’s not what it seems. To finish, I’ll still have to purchase some granite or pebbles. And then, hopefully soon, I’ll be able to enjoy fire with friends. The less tangible benefits? I’ll let Grog speak to that. I see someone else has had the same idea for a fire pit. And I don’t mean just for fires.